The sculptor has bought a block of marble for her new statue. The builder is planning to use marble for the floors in the new house. Amanda's brother claimed she had a heart of marble. James is proud of his large collection of marbles. The kids were playing marbles in the schoolyard. My grandmother is 95, but she still has all her marbles. The new kitchen had marble counters. The news caused Oliver to furrow his smooth marble brow for a moment. As a count noun, a marble can be a marble statue or sculpture. In this sense, it is particularly used in the plural to refer to collections of sculptures, such as the Elgin Marbles, which are housed at the British Museum in London. The Elgin Marbles are part of a larger collection called the Parthenon Sculptures because it includes all the surviving sculptures from the Parthenon in Athens. The Elgin Marbles have been a subject of contention between the Greek and UK governments for decades, with the Greek government petitioning for the marbles’ return since the early 1980s. You can read more about the Parthenon Sculptures, the Elgin Marbles, and the controversy on the British Museum’s website. Marble, meaning the type of stone, dates back to the mid-12th century, in the form of the late Old English noun marmel, which came into English from the Old French marbre, which can be traced back to the Latin marmor and the Ancient Greek μάρμαρος, or mármaros, which meant ‘marble or gleaming stone.’ Its origin is uncertain, but it is likely related to the Ancient Greek adjective μαρμάρεος (marmáreos), meaning ‘gleaming,’ and the Ancient Greek verb μαρμαιρειν (marmaírein), ‘to shine or sparkle.’ Some linguists believe that the origin is geographical: most of the marble the Greeks used came from the Marmaris sea, above the Aegean. Mármaros, as well as the two related Ancient Greek words, may have been a reference to this “sparkling” sea. 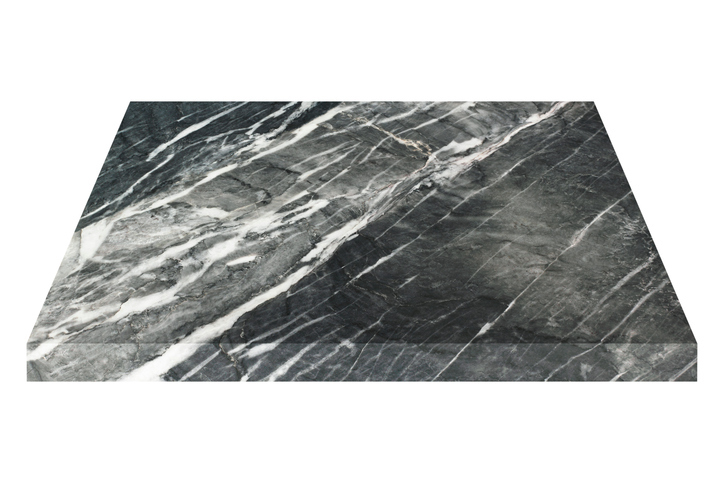 It’s worth mentioning that marble was used in the British Isles before the 12th century. The Latin word marmor was often used to name the stone, and soon became the Old English marbra. Linguists consider, though, that this word was completely replaced by the French form, and date the origin from this dominant noun. By Middle English, marmel had dissimilated into marbel, and the spelling marble was fixed in the early 17th century. The meaning ‘little balls of marble used to play’ dates back to the late 17th century. The adjective, meaning ‘of marble,’ comes from the noun, and dates back to the late 14th century. The verb also comes from the noun, and dates back to the late 17th century.